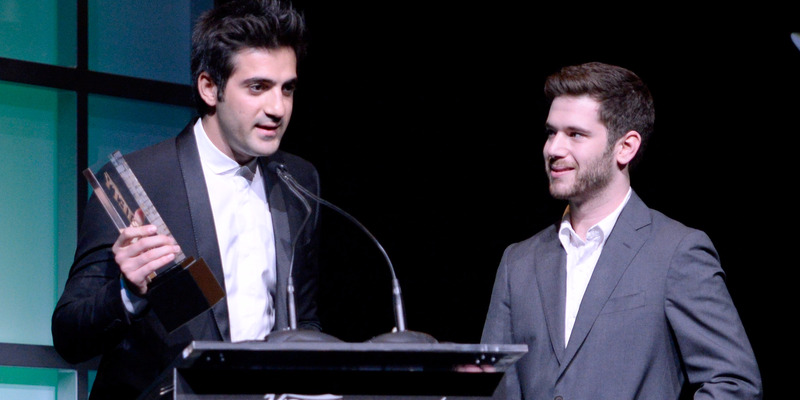 Getty/Jeff BottariHQ Trivia cofounders Rus Yusupov, left, and Colin Kroll. The company that makes the HQ trivia app has been taking meetings with investors, hoping to raise money at a $US100 million valuation. But some investors are concerned about the startup’s management, including one cofounder’s behaviour at a previous job, and they decided not to participate in the funding round, Recode reported on Monday. Intermedia Labs, the maker of the hot trivia app HQ, was seemingly on track to raise money at a $US100 million valuation, but Recode’s Kurt Wagner reports that some investors decided they weren’t interested after hearing about what sources described as a cofounder’s “creepy” behaviour toward women during his previous job at Twitter. The Recode report says that investors were worried about Colin Kroll’s behaviour while he was working on the Vine team at Twitter but that there were no specific details. Kroll founded Vine along with HQ’s other founder, Rus Yusupov. Both men started Intermedia Labs, HQ’s parent company, of which Yusupov is also CEO. Recode reports that investors also pointed to Yusupov’s recent tirade against a Daily Beast reporter as concerning. Yusupov did not immediately respond to a request for comment on the report and the allegations of inappropriate behaviour against Kroll.